As a mom of two children that don't eat much candy, I've always been one to think outside of the box and hand out fun items on Halloween instead of candy. This year I decided to go with an assortment of ghosts! After all, who can resist the face of a friendly ghost? 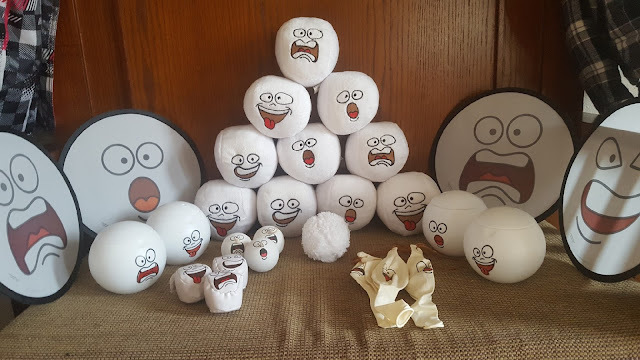 However, there is a little secret that lies within my "ghosts" that my students, Girl Scouts and trick-or-treaters will be receiving this Halloween... these adorably ghoulish ghosts are actually snowballs! 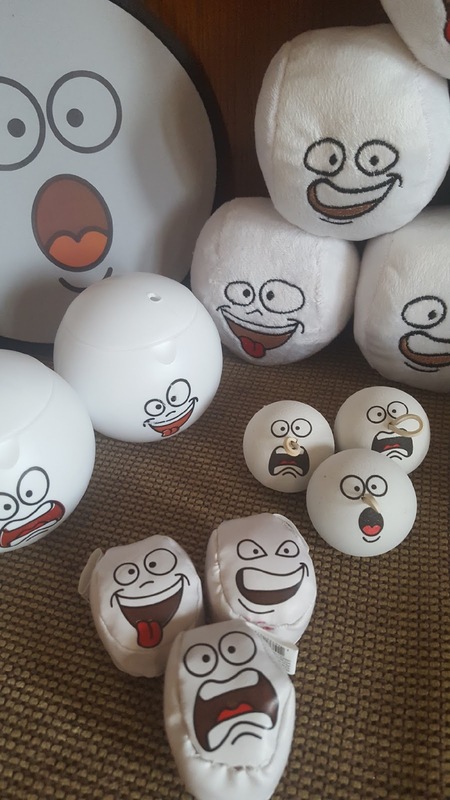 This amazing assortment includes: frisbees, stress balls, plush faces, punch balloons, hacky sacks, light-up balls, and more... 100 fun faced items that make perfect Halloween ghosts that are perfect for children of all ages! Seriously, who wouldn't love one of these adorable toys? My two teenagers (16 and 13) got into a snowball... oops, I mean ghost fight the other night with the larger plush toys and had a blast! 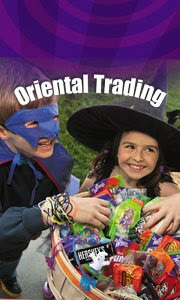 Oriental Trading and a variety of great alternatives to candy to pass out to trick-or-treaters! In fact, Oriental Trading Company is the nation's largest direct merchant of value-priced party supplies, arts and crafts, toys and novelties, and a leading provider of school supplies and affordable home décor and giftware. Party favors, decorations, tableware, crafts, candy, novelties, games... the selections are endless! Not only do I love the fun, affordable selections - I love how quickly my items arrive. Fast, convenient, and affordable. A little candy isn’t going to hurt anyone, but offering fun alternatives to kids will teach them that Halloween can be fun without eating too much candy. If you aren't already a satisfied Oriental Trading customer, join their e-mail list and be the first to learn about exclusive offers, limited-time sales, new products, and so much more! PLUS, you'll get FREE SHIPPING on your next order of $39 or more when you join their email list! You can also visit their website and request a free catalog. What do you pass out on Halloween night to all the little ghosts, witches, and goblins that stop by your house for trick-or-treating?